Report: Weakening post-WWII order could give adversaries an opening. The U.S. intelligence community has laid out its comprehensive strategy for the next four years, highlighting threats from Russia and China exacerbated by the “weakening” of the post-WWII order and those nations’ embrace “rapid advances” in modern geopolitical battlefields from cyber to outer space. “Traditional adversaries will continue attempts to gain and assert influence, taking advantage of changing conditions in the international environment –- including the weakening of the post-WWII international order and dominance of Western democratic ideals, increasingly isolationist tendencies in the West, and shifts in the global economy,” reads the 2019 National Intelligence Strategy, a 36-page document published by the Office of the Director of National Intelligence (ODNI) on Tuesday. A senior ODNI official told reporters Tuesday that Russia was pursuing capabilities to threaten U.S. interests with “vim and vigor” not seen since the heyday of the Cold War. But U.S. intelligence officials remain hopeful that there is room to work with China, at least, in areas of “mutual concern,” such as North Korea’s nuclear and ballistic missile programs. (Bloomberg via Getty Images, FILE) St. 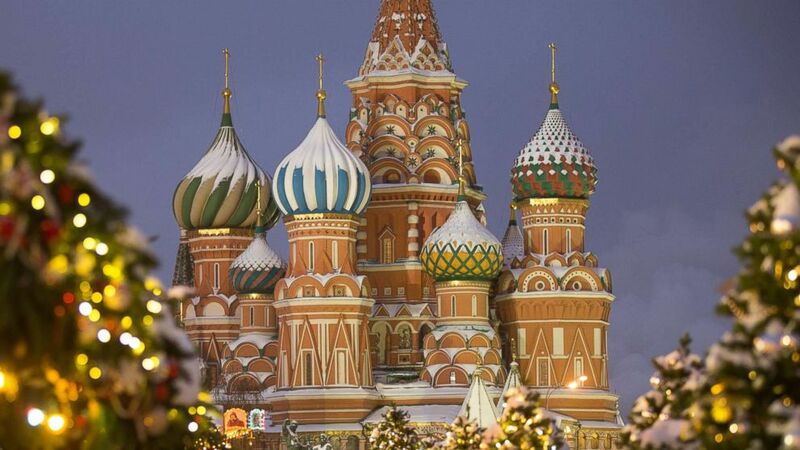 Basil's Cathedral stands among holiday decorations on Red Square in Moscow, on Dec. 27, 2018. Asked about the impact of the Trump administration’s own strong criticisms of international agreements and institutions in the post-WWII order, a senior ODNI official told reporters Tuesday that one of the “great joys” of working in intelligence was that they don’t dictate policy, only provide information to policymakers. Another official said that regardless of the administration’s own position, the “global operating environment is complex,” and the messaging from the White House is all part of that complexity. 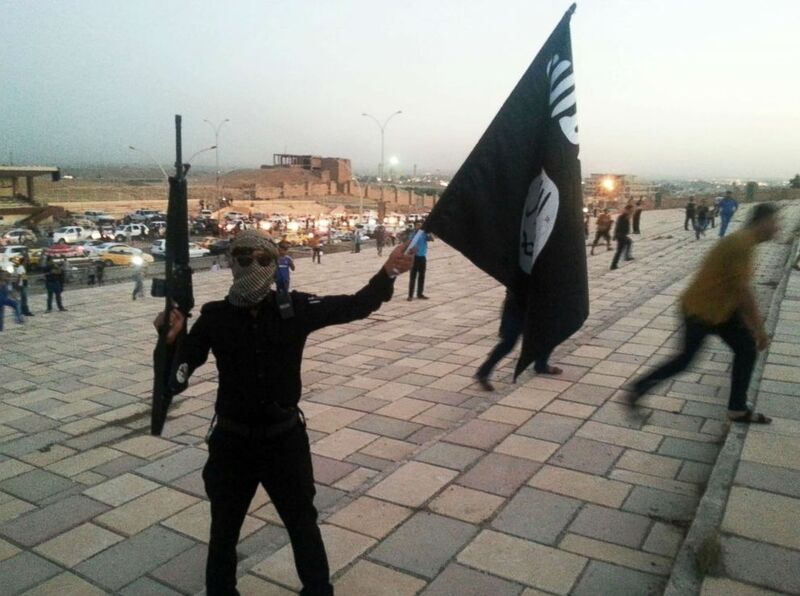 (Reuters) A fighter from the Islamic State of Iraq and the Levant holds an ISIL flag and a weapon on a street in the city of Mosul, June 23, 2014. One of the greatest causes for concern, one senior ODNI officials said, is the prospect of adversaries to work together where their interests align to challenge the U.S. The official declined to provide specific examples of such cooperation. “The strategic environment is changing rapidly, and the United States faces an increasingly complex and uncertain world in which threats are becoming ever more diverse and interconnected,” the document reads. We need to ensure to the American people that we can be trusted. We need to build faith that we will always seek to do what is right. The new strategy is broadly similar to the last iteration, published in 2014, that also focused on the threats from adversarial nation-states, extremist and transnational criminal organizations, and the unpredictable effects of the diffusion of technology. But this year’s report does place particular emphasis on transparency. Director of National Intelligence Dan Coats presented the strategy to the ODNI workforce Tuesday, stressing that the U.S. intelligence community must also do everything it can to be open with the public about what it’s doing.